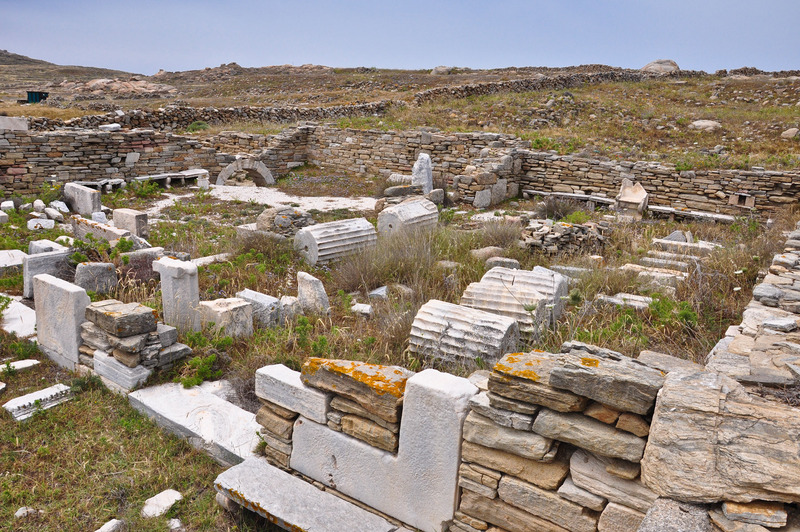 A highlight on a visit to the sacred Greek island of Delos (it is about a 40 minute boat ride from Mykonos) was a visit to the synagogue on the remote east side of the island (see the end of this post). This synagogue is said to date to the second half of the second century B.C. which would make it the oldest synagogue yet discovered. 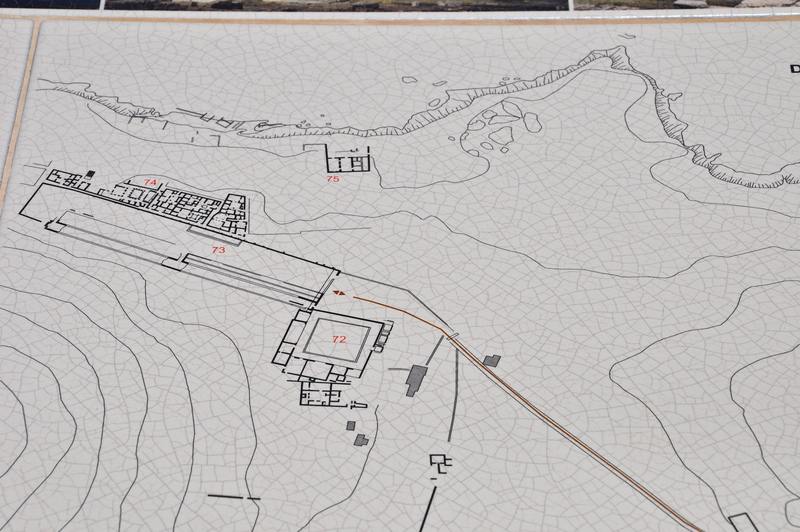 I knew the general location of the synagogue, but thought I would ask in the Delos museum how to get there (bad mistake). The answer was, “that side of the island is closed.” Well . . . 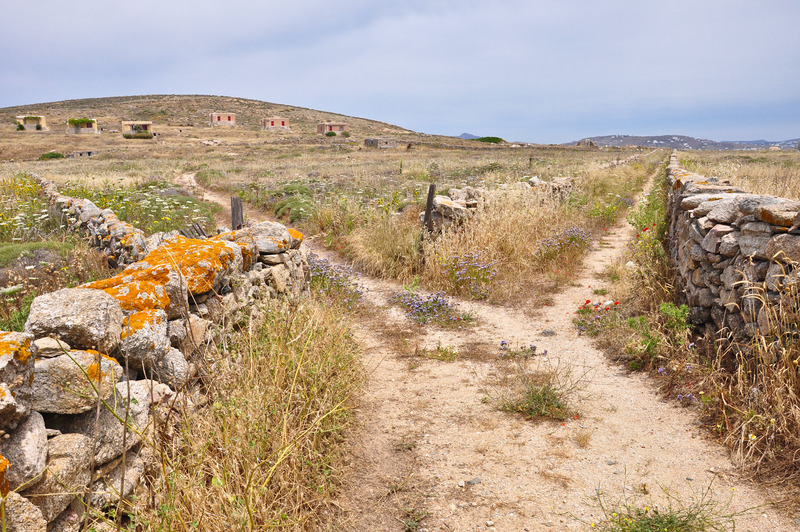 I hadn’t traveled 6,000 miles by land, air, and sea, just to see this synagogue and be “turned away,” so we set off on the dirt road just to the north of the museum. 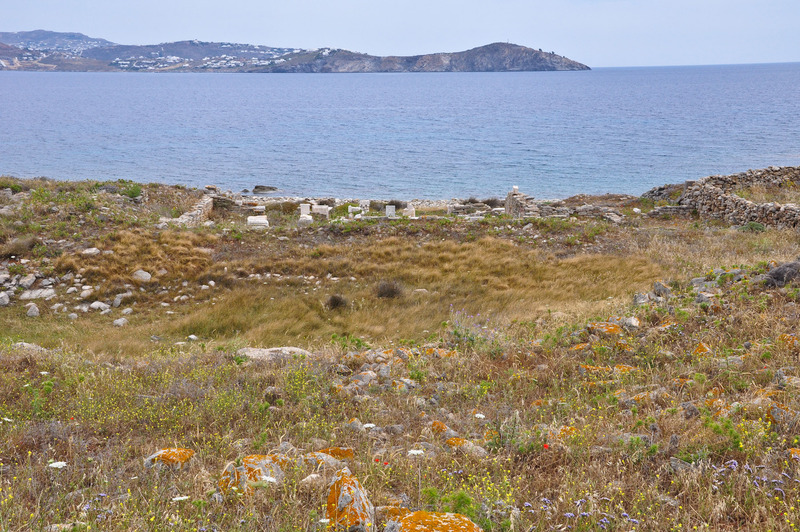 This entry was posted in Archaeology, Places in Greece, Synagogues and tagged Delos, Greece, Island, Moses Seat, Synagogue. Bookmark the permalink. and with a view – I like that. In Mt. 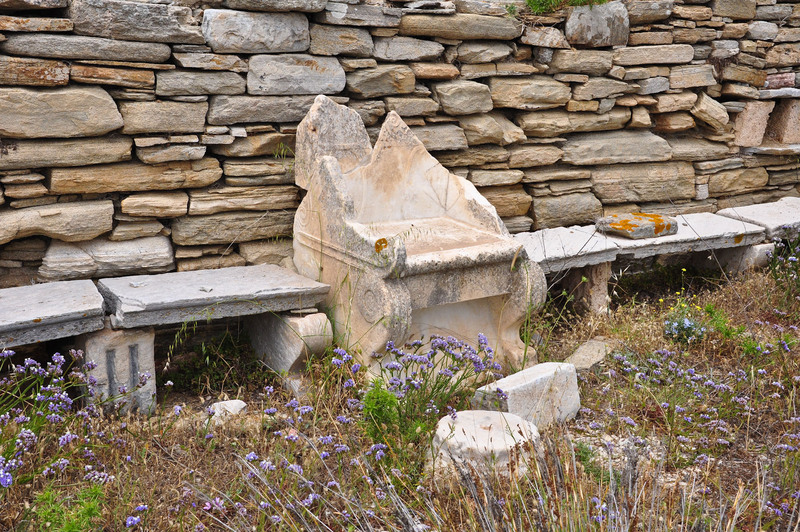 23.2 Jesus refers most probably to this synagogue feature: “The scribes and the Pharisees sit on Moses’ seat”. Another first century Jewish group, the Sadducees (from Zadok) is not mentioned since they functioned as priests in the Temple service (see Ezk. 44.15). Mt. 23. 6 continues: “and they love the place of honor at feasts and the best seats in the synagogues”. 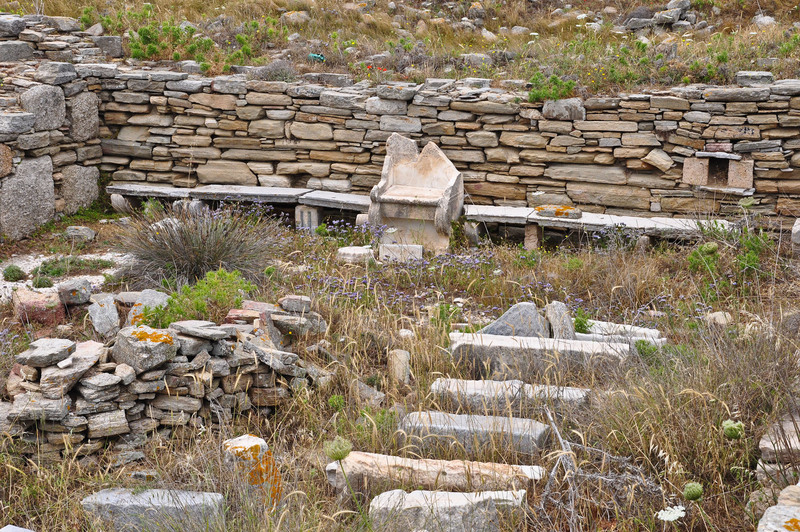 Here Prof. Rasmussen shows ruins of an Hellenistic synagogue on the Island Delos which illustrates these references. Thank you for this most interesting article. I had always been under the impression that “sit in Moses’ seat” had only been an idiomatic expression about the authority to interpret the Law of Moses. I never even gave it a thought that there could have been an actual “seat” in the synagogue. You opened my eyes to something new! And thank you for the beautiful photos.